Kemals Cottage is above and to the South of the village of Ozanköy, about 3miles East of Kyrenia, and almost at the foot of the Besparmak mountain range. The spacious bungalow is set in a quiet area in a walled garden with many flowers, shrubs and Lemon and Rubber trees. A drive leads to a garage, and there are shaded terraces and a spiral staircase leading to the roof area.There is a magnificent new tiled swimming pool with underwater lighting and fitted with stainless steel safety rails. A large surrounding paved patio has modern Italian sunloungers for sunbathing. 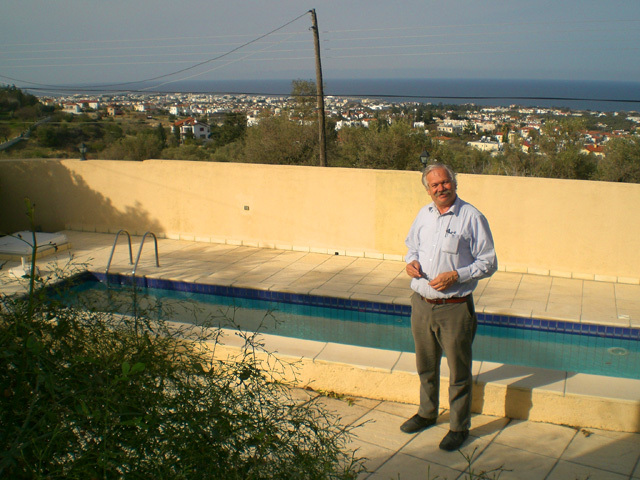 A feature of the Cottage are the magnificent views of the mountains, which are immediately behind it, and to the North a panoramic vista across Ozanköy to Kyrenia and the Mediterranean. On a clear day the mountains in Turkey can be seen. A flight of steps leads up to a terrace where there is a table and chairs for outdoor meals or simply to sit and enjoy the view. 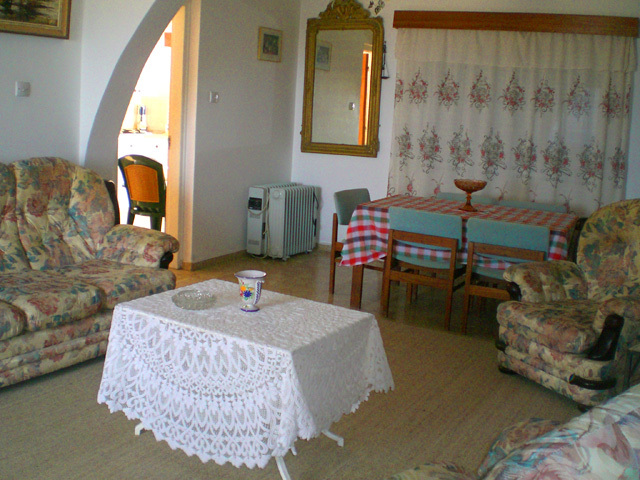 Through the front door is a large, cool entrance hall, furnished with easy chairs and tables. 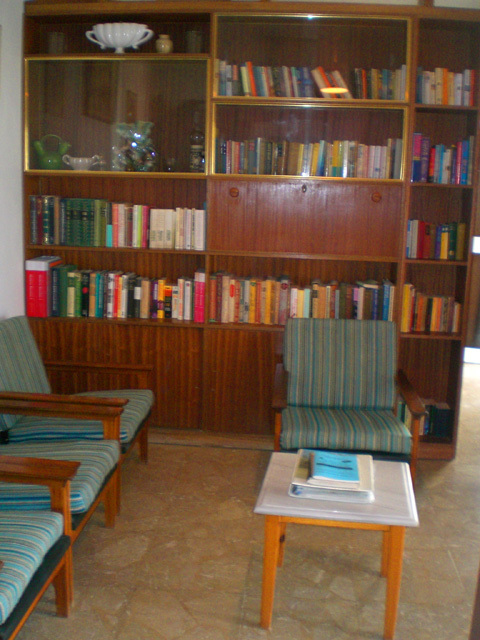 The very large lounge is bright and airy with windows on three sides, and comfortably furnished with armchairs and coffee tables. There is also a dining area. The three bedrooms - one with double bed, other with twin-bedded and another one with 1.5 size bedded- are well furnished and all have spacious fitted wardrobes. All bedrooms have air conditioning. The cottage has two bathrooms. The tiled bathroom has a bath with shower, wash basin and toilet. Fully equipped, the kitchen has Fridge/Freezer, Washing Machine, Electric/Gas Cooker, Microwave oven, Electric Kettle, Toaster, Sandwich Toaster and a range of Crockery, Cutlery, Glassware and cooking utensils. A door leads from the kitchen onto a patio beneath the mountains. Kemals Cottage has Satellite and Terrestrial TV, Hi-Fi Stereo Radio, as well as a wide variety of Books, Board Games, Jigsaws and Playing Cards. As well as air conditioning in both bedrooms, there are ceiling fans and pedestal and portable fans for summer comfort, while for the few winter months there is a log fire and ample heaters. As you would expect the Cottage is fully equipped with Iron, Ironing board, Bed Linen, Towels, etc. Water is supplied from the mains into large storage tanks, and bottled water is available from all local shops. Electricity is 240 volts and all power sockets are standard British fittings. Solar panels heat the water for showers and there is also an immersion heater. The cooker uses both electric and bottled gas and full bottles are supplied as required. Barbecues are also provided and charcoal is available at the local shops. Kemal Karapasha, who owns the Cottage, lives nearby is readily available to deal with any queries that may arise during your holiday. A village woman cleans and changes the linen and towels. There is a telephone installed on which local calls can be made and both local and international calls received. 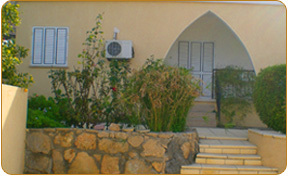 There is a wealth of information about North Cyprus available in the Cottage. Should you require more information or if you would like to make a booking we would be delighted to hear from you.